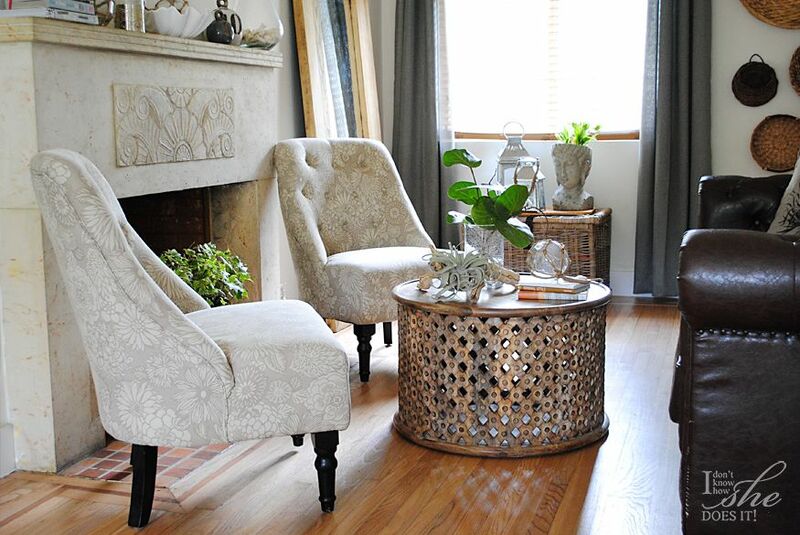 Did you know that round coffee tables are not that difficult to style nor does the accessories need to be round? When it comes to styling or creating a vignette, I try to keep things simple by using odd numbers in matters of quantity. On these 3 variations, I imagined the top of the table to be divided in 3 almost equal parts (think of it as a large pizza!). On each third, an accessory (or group of) is to be placed. Inspired in Summer, in this setting you’ll find the highest item to be a natural Seagrape branch, the medium group would be the books with the sea glass ball and the smallest in height, the driftwood and airplant. In all the vignettes I’ve place numbers on the aerial view for an easy idenfication of the thirds. 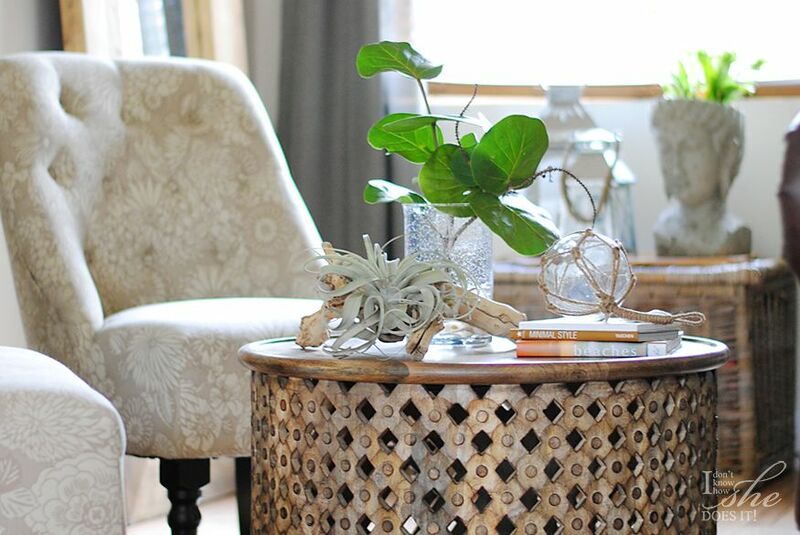 Another thing I tried to keep in mind when styling a coffee table (this one from World Market) or preparing a vignette are the heights of each of the elements in it. When working with a quantity of elements in the odd numbers, this task becomes an easy one. 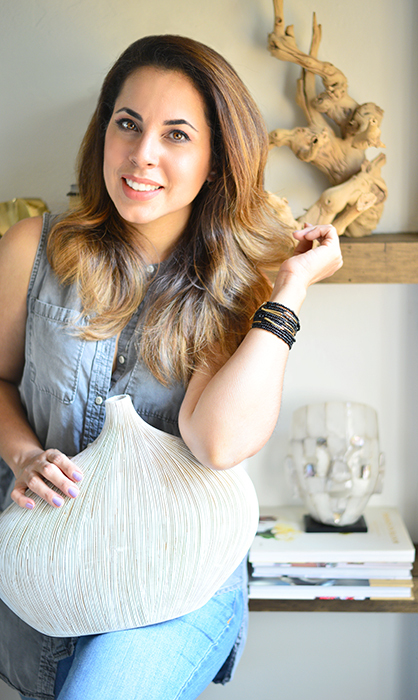 Just to give you an idea, the accessories I used are placed on a small, medium and large heights. This is also useful when using items of different widths. Natural elements and seashells all in white generate a great contrast against the wood coffee table. Again pay attention to the distribution of the elements on the top view. 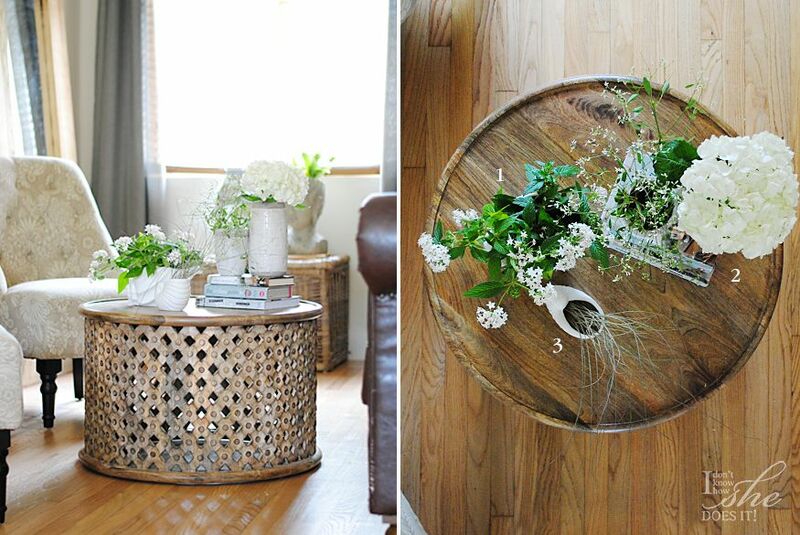 Hope this simple guide has helped you in figuring out the configuration of a simple coffee table. Which one was your favorite? 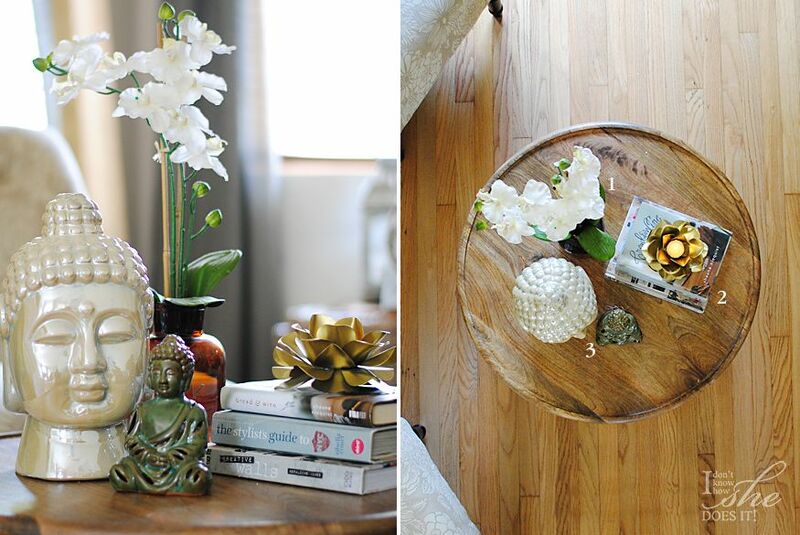 If zen is your thing, then this vignette will bring a relaxing vibe to your table. 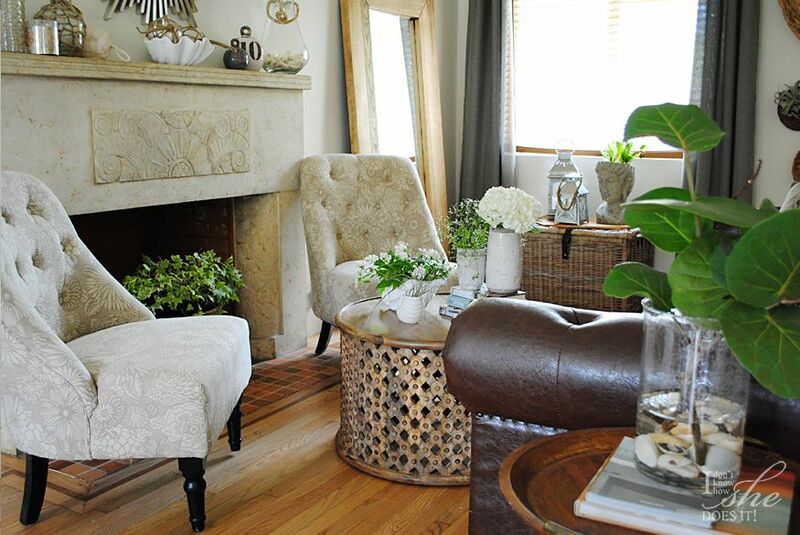 Beautiful styling! I love the little air plant in the first one- I tried to bring one of those home but my black thumb killed it within days. I need to try again! Hello there! I love air plants, but beleivs me, they don't always last me either. Rhis one so far, has managed to survive inside the house. I'm guessing it's a matter of not paying to much attention to it. Thanks for stopping by and have a great day! 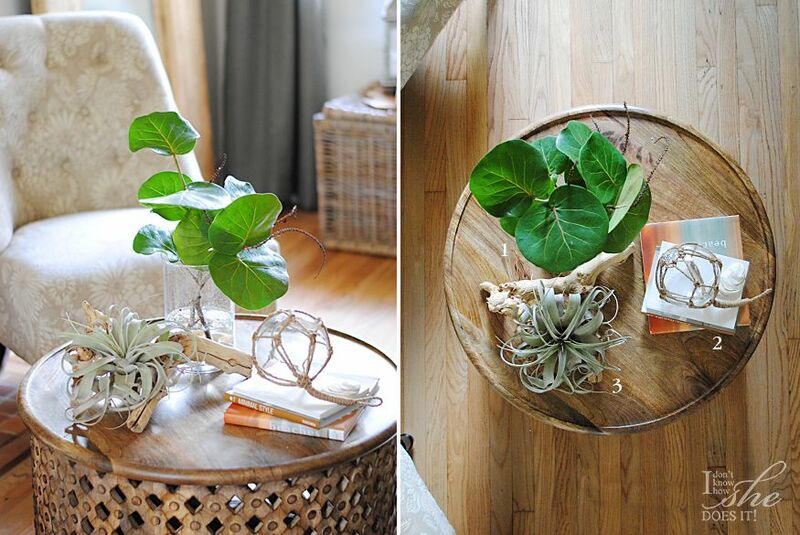 Your round coffee table is awesome and color codes, plants enhance the beauty of table. You did great job.